Lol this guy has genuinely made me laugh. 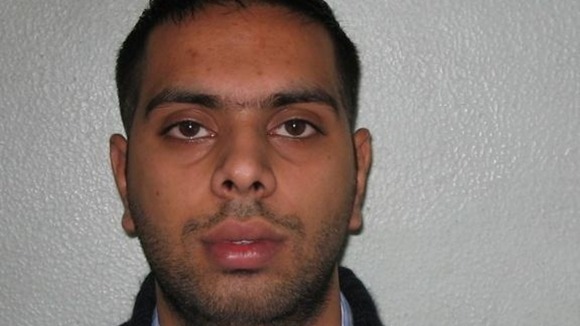 According to ITV News, Usman Sethi is believed to have been involved in the theft of 252 iPhone 5’s from his own store. First of all, this is the hottest technological release for a while, as with most Apple products, it’s not the kind of thing people aren’t going to notice. Secondly he stole from his own store. You’d think he’d know about the CCTV cameras! If he did do this, he is truly stupid. Thirdly he stole 252 of them!!!! Not even 2 phones, one to sell and one to flaunt. He went straight for the big haul. Greedy much? As if this wasn’t enough, cash was taken from the register (I guess to buy credit?) and the police would also like to speak to him about jewellery stolen from his house. This kind of crime makes me think he didn’t plan this well. He got up that morning and decided YOLO is now the Motto. COMMENT: How could he have been smarter? This entry was posted in Current Affairs, Funny. Bookmark the permalink.